GreatBuyz allows to save money and time in many ways. 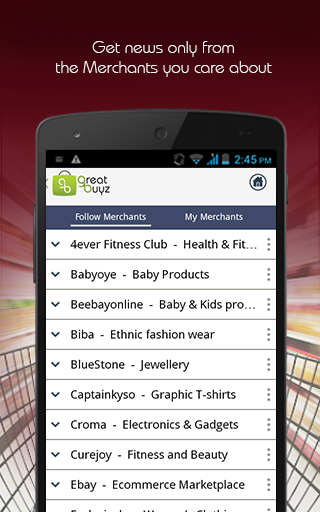 Once you register, GreatBuyz offers an ultra-easy way to get news only from Merchants or Service Providers you care about. 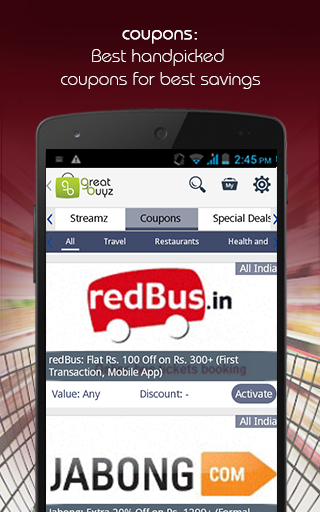 Follow your favorite Marketplaces, Health and Beauty parlors, Retailers, Food places, all in one app - you can even call them with a single click. Unfollow them anytime - worry no more about getting bombarded with spam or dealing with lots of email that you have to clean-up everyday. 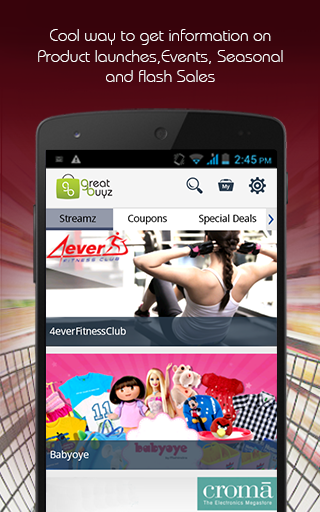 Save lots of money - We have thousands of Coupons and Deals from multiple sources at any given time. Browse or simply search for what you want. 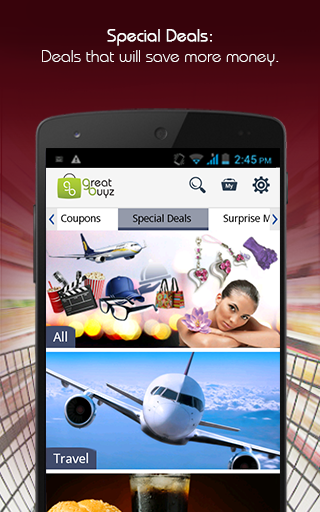 Deals can be purchased simply with your mobile currency. 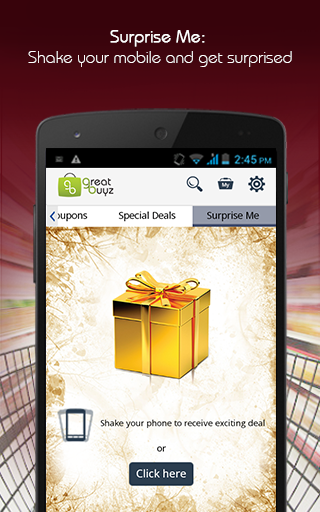 Experience cool features like 'Shake and Discover' Deals, Gifting and much more.